Tea House Emporium is exactly that...an Emporium! A tea merchant of a different kind and one that I have never encountered before. Tons of teas available, traditional Assam or Earl Grey, China Jasmine Dragon Pearls or Flowering you will not be disappointed if you, like me, regard tea as the ultimate drink! The main entry door takes you in the shop where there is literally tons of loose tea for sale. Downstairs will lead you to a very private 18th Century cellar with table and chairs with calming music whilst you order your freshly brewed tea which will be presented to you with a timer as to enjoy tea brewed at the optimum time. A very small selection of cakes only are available. 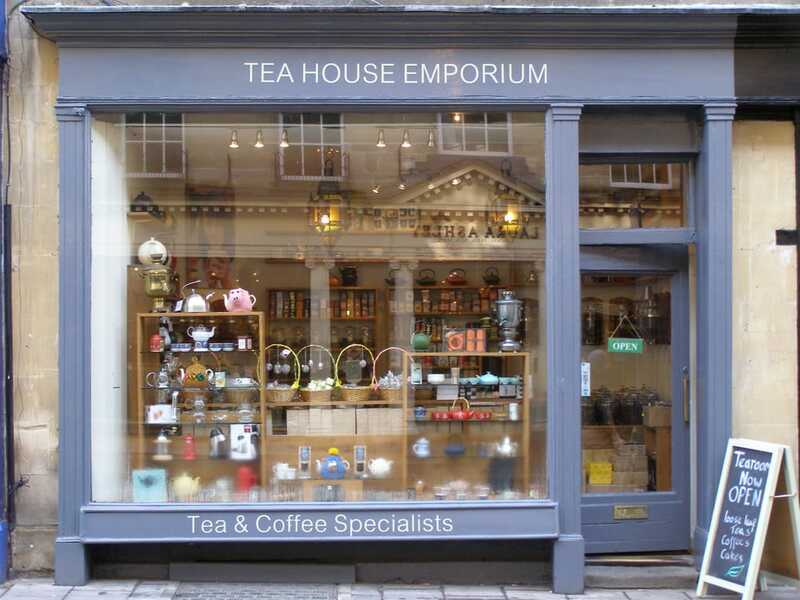 I find it difficult to write about the Tea House Emporium because it is not a traditional English tea room or a modern one either. A tea house for simply drinking tea or if you are one of those...freshly brewed coffee. The only indication that you are sitting in an 18th Century English cellar is an old picture of the Queen on the wall! Sandra would love it in the cellar. She would drink tea, write and study. It offers the peace and tranquillity and would make a great study or reading place drinking whatever kind tea you wish to order. You can order tea to drink, buy any tea you want or when you run out, order online via the website. I am going to recommend the Tea House Emporium. I would advise you to take a book or someone interesting to engage in conversation and let time slip away. When I got back to my office I had a lovely e-mail from the owner, Tim Stoneham giving an history of his business.